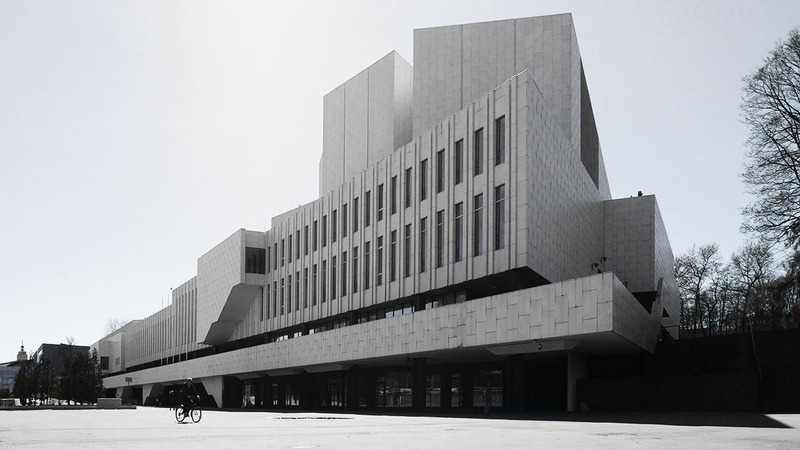 Rarely does an architect encompass a nation as Alvar Aalto does for Finland. 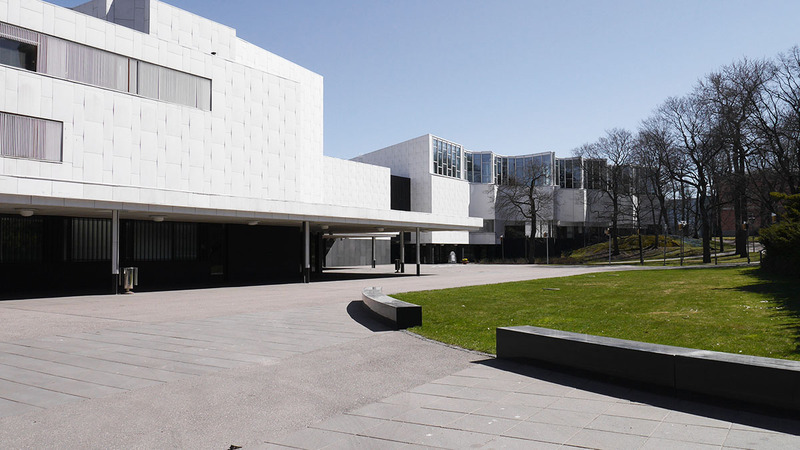 Photos of his buildings show an architecture that can be described as Expressive Modernism, a design that differs from mainstream Modernism in its formal articulation. 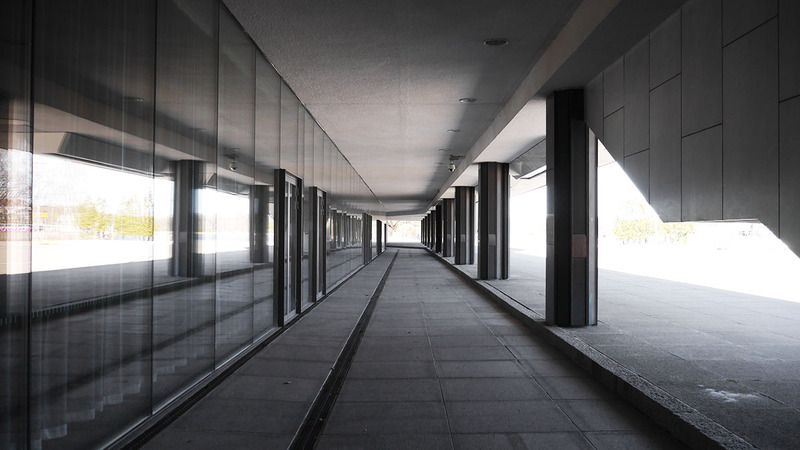 His buildings, however, cannot be fully expressed in photographs. 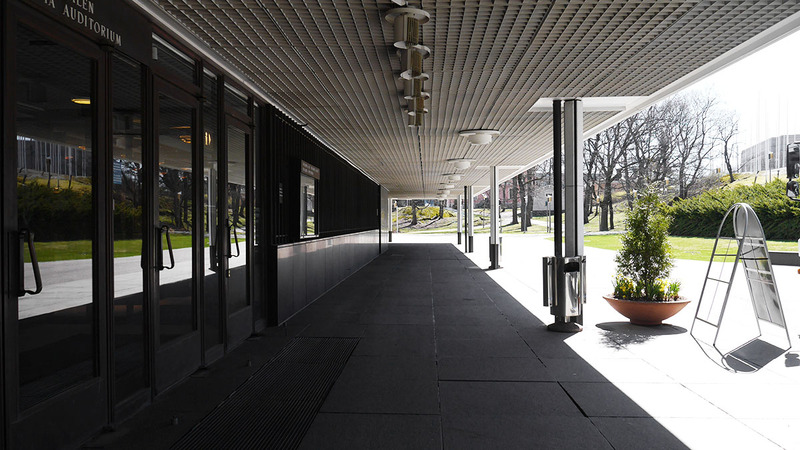 The way light catches onto his buildings and the shadows they create speak of a careful attention to detail, one that highlights the Finnish devotion to good humanist design. 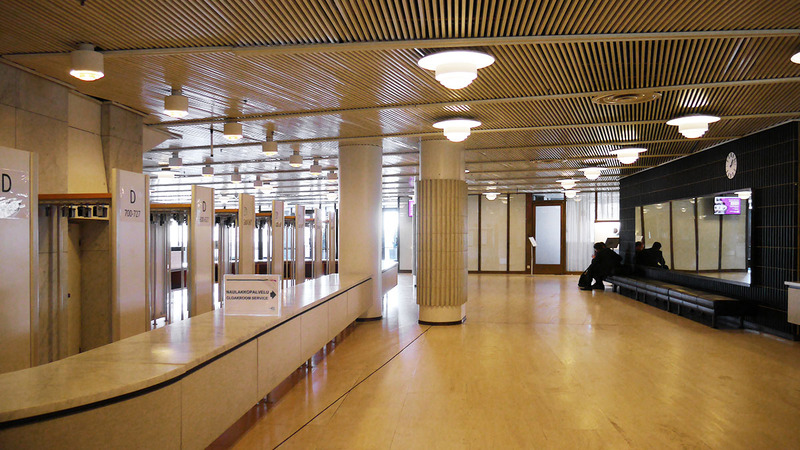 Finlandia Hall in Helsinki was completed in 1971, on the shores of Töölönlahti Bay. 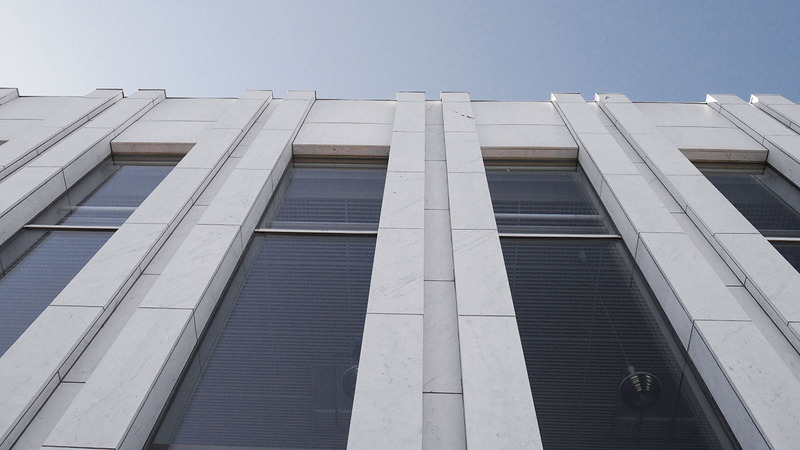 Covered in white marble, the building serves as a congress and event centre for functions of various sizes. The building is set back from the street and announces its presence only in the form of the rising bulk of the main auditorium. 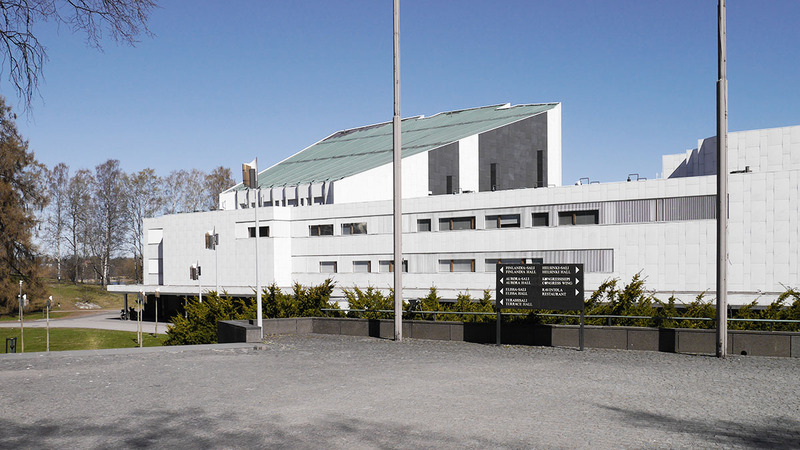 Its slanted roof expresses the auditorium function within, a white and black solid mass against the cold blue skies of Helsinki. 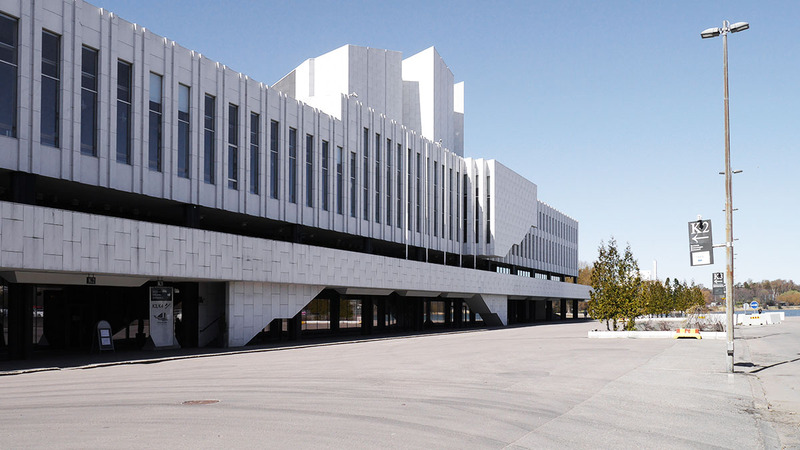 Stairs and ramps lead down to the main entrance from the street, suggestive of a more humble nature to the building and in contrast to traditional public theatres, which have often been perched on podiums with staircases leading up to emphasize their monumentality. 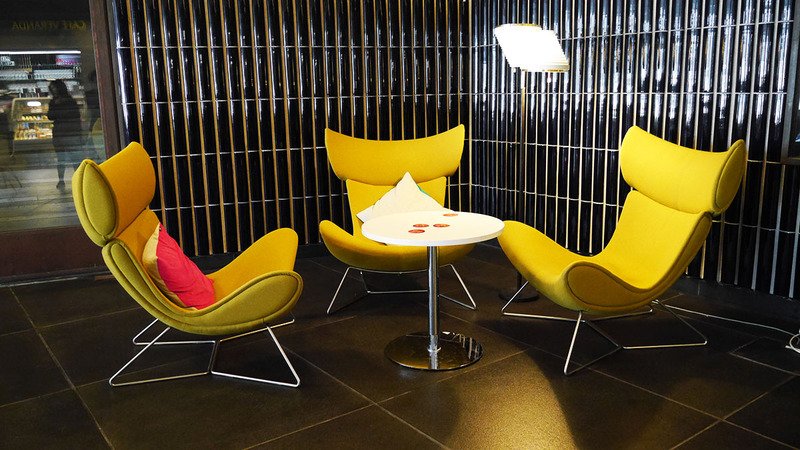 Once inside, the modesty continues in the height of the entrance hall. 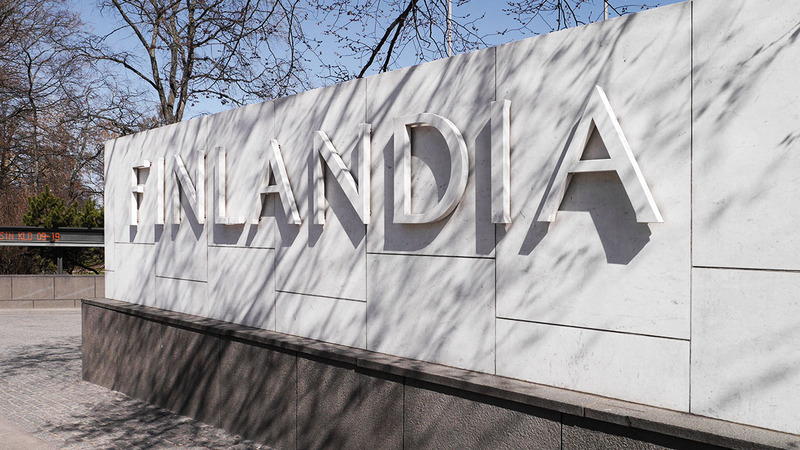 Unlike other buildings which impress with its double volume spaces, the entrance to Finlandia is single storeyed in a more appropriate relation to the human scale. That is not to say though, that the entrance experience does not impress. Openings to the upper levels offers glimpses toward the grander aspects of the building, though the sequence has been carefully designed to be more humble in experience. 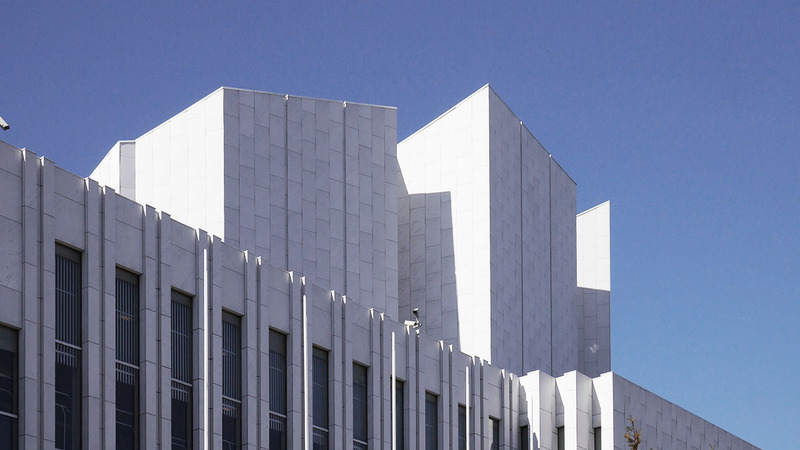 Aalto is known for his holistic approach to architecture and Finlandia Hall is one example of this emphasis. 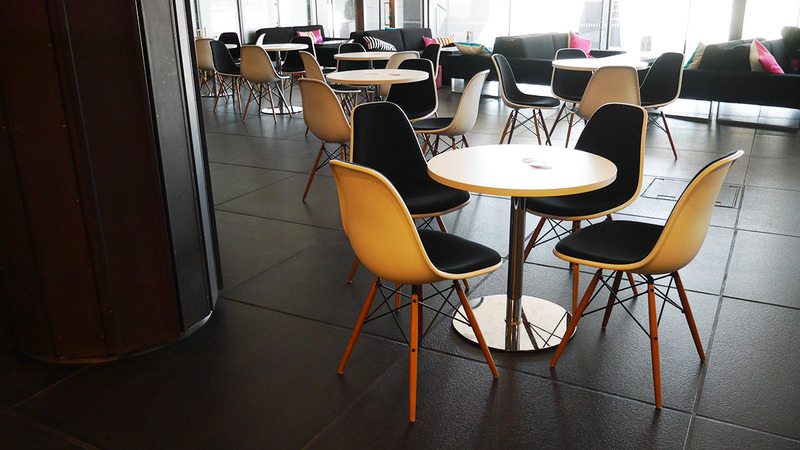 From the building down to the chairs and door handles, the building has been designed by Aalto under the same concept. There is an honesty in the approach to design, from the protrusion of the staircases that can be read from the exterior to the way the door handles curve smoothly outwards to prevent sleeves from being caught when opening them. 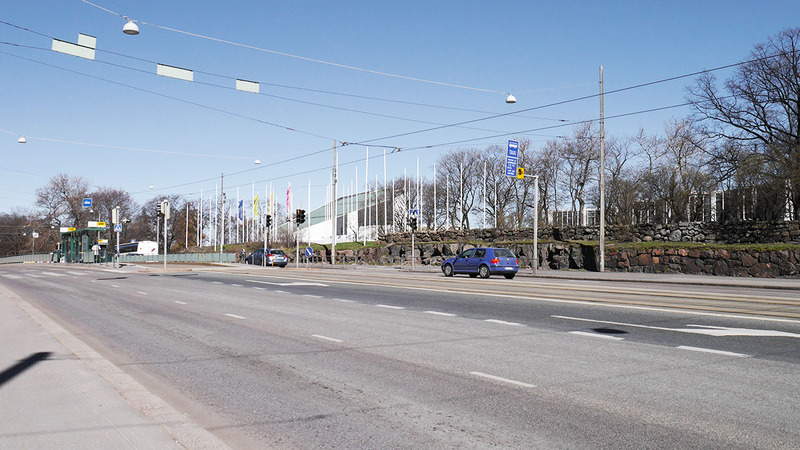 Finlandia Hall was designed based on the concept of humanism, an idea that, while not ignoring the surrounding site, places emphasis on the individual. 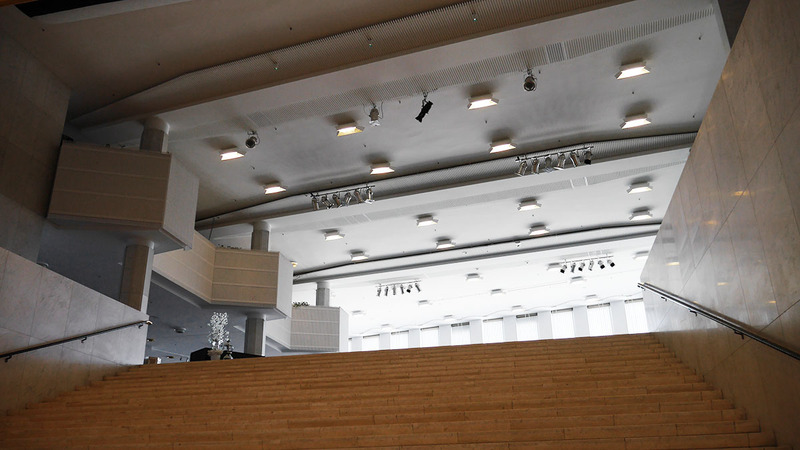 A visit to Finlandia Hall is not about the collective experience, but the personal sentiment one attaches to the building. 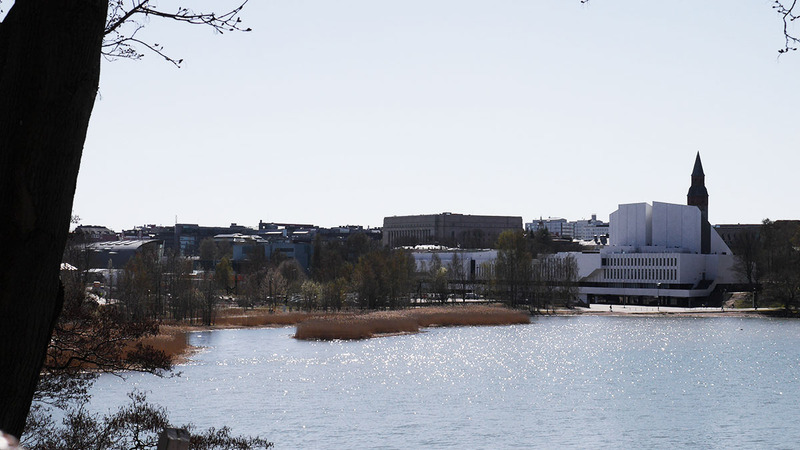 In Finlandia, Aalto has created a building that represents the Finnish mentality for democratic, functional design. 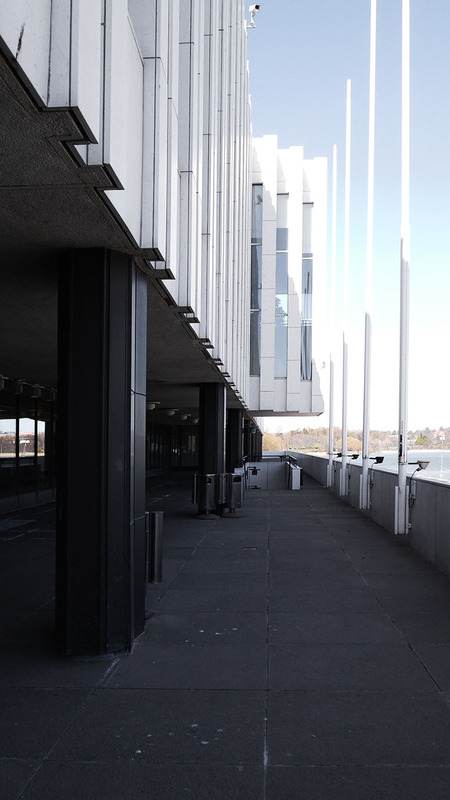 The building is honest in its expression and speaks to the individual, accepting its visitors for who they are while raising awareness to the surrounding context. 28 Apr	This entry was written by ki and published on April 28, 2014 at 8:17 am. 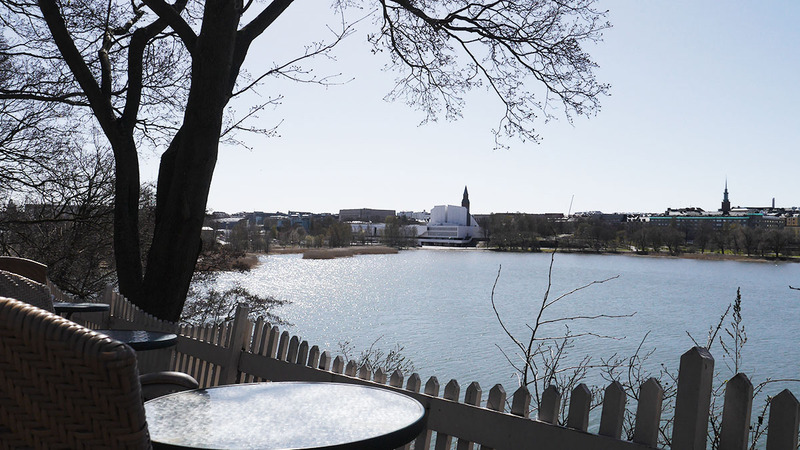 It’s filed under footnotes, Helsinki, Ke. Bookmark the permalink. Follow any comments here with the RSS feed for this post.